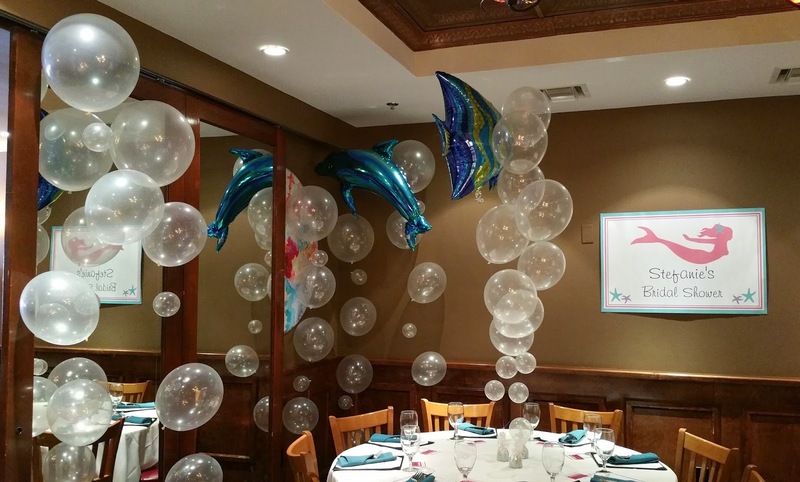 The Bride to be is a Marine Biologist, her Mother contacted Party People to transform the private dining room at Libby's Cafe in Sarasota into and Under the Sea shower! 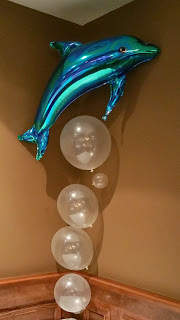 Bubbles, Foil Fish and dolphin's created a festive shower. Panoramic of the room after Party People fill the space with Balloon Decor. Multiple bubble strands arranged next to each other on the floor and as centerpieces make you feel you are under the ocean. This dolphin foil if beautiful! 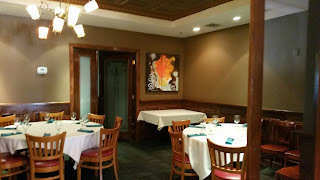 Happy to know about this bridal shower! Couple of months ago, arranged a tea party with my friends at one of luxurious lofty spaces. Invited all my close friends and had a grand party. Happy that everyone enjoyed in the party.